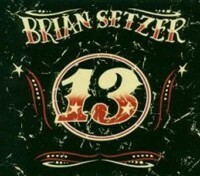 Brian Setzer’s brand new, non-orchestra outing, 13, is full of his classic big guitar snarly twang and rumble. There is no mistaking Setzer’s guitar in any setting. He has routinely proven himself the king of whatever genre he has inadvertently resurrected. On 13, however, Setzer --- in the classic trio setting --- seems to be trying to distance himself from the rockabilly and the swing (and the requisite fashion) he introduced to this generation. The track “Real Rockabilly” pokes fun at all the sub-genres and window dressing that crowd the dance floor. Cuts like “Drugs And Alcohol” and “We Are The Marauders” are musical departures where Setzer leans into the guitar with a little more righteous anger. Still, however you like your Setzer --- twangin,’ swingin,’ or rockin,’ --- 13 will rock, roll, and satisfy. Stefon Harris may be best known for his mastery of vibes and marimba, but his work is about much more than chops. When it comes to conceptual and small-group orchestral vision, Harris has few rivals in the jazz world today. His latest album serves as both an exploration of some late Duke Ellington and Billy Strayhorn compositions and a showcase for an original suite. The common denominator is gorgeous orchestration, employing an ensemble consisting of Junah Chung (viola), Louise Dubin (cello), Anne Drummond (flute), Greg Tardy (clarinet), Steve Turre (trombone), Xavier Davis (piano), Derrick Hodge (bass) and Terreon Gully (drums). Whether it’s a growling trombone, a lyrical flute, pizzicato viola, or a nicely meandering clarinet, all of the musicians get to strut their stuff in these arrangements. When they blend together, the voicings are as distinctive as they are beautiful. Harris is fresh and innovative whenever he solos, but it’s his arranging and writing skills that are most striking. Ellington and Strayhorn are a hard act to follow. 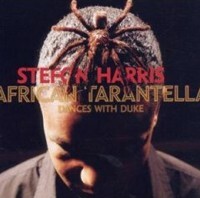 Harris’ treatments of parts of “The New Orleans Suite” are magnificent; so are his arrangements of sections of Ellington’s “The Queen’s Suite.” One of the most gorgeous cuts on the album is a departure from orchestration; just Harris and Dubin play “The Single Petal of a Rose.” The most amazing thing about this album is that Harris’ own compositions, from “The Gardner Meditations,” rise to the level of Ellington’s and Strayhorn’s.